여러분, 안녕하십니까? 웰컴투아메리카의 박형권입니다. 오늘도 리오라 앤더슨이 함께 합니다. 오늘은 제가 미국 여러 곳을 여행하면서 찍은 사진을 몇 장 가지고 왔습니다. Oh, these are great pictures. But there’s graffiti all over these pictures that you have taken. ‘graffiti’는 ‘graffito’의 복수 형태입니다. 그렇지만 ‘graffito’라고 말하는 경우는 거의 없고 ‘graffiti’가 주로 사용되고 있습니다. 미국에서는 낙서라고 해서 그냥 작은 펜으로 조그맣게 하는 낙서가 아니지요. 가스 분사식 페인트 분무기를 이용해서 글씨나 그림을 멀리서도 보일 수 있게 크게 그리지요. 건물 전체가 온갖 낙서로 가득한 곳도 있고, 완전히 낙서로 뒤덮인 자동차들도 있고요, 교량이나 건축물이 수백 미터 거리에서도 볼 수 있게 대형 낙서로 가득 채워져 있는 경우도 많습니다. 그런데 왜 이렇게 낙서를 하는 걸까요? Well, there’re a number of reasons why people do graffiti. Gang members like to spray-paint either their names or symbols of the gang that they’re in. Or they like to spray-paint messages to other people that they’ve been there. 단순한 낙서 이상의 의미를 지니는 ‘graffiti’를 예술의 한 형태로 보기도 하지요? Yes, sometimes there’s a form of art you see in graffiti. By spray-painting people make a mural on the side of the building and draw a pretty scene. So, it can be very beautiful as well. Graffiti could be a form of vandalism, especially if people are spray-paint their name, or bad words on the sides of beautiful buildings. And sometimes people do the graffiti on places such as trains or places that are historic. 그러니까 ‘graffiti’는 ‘vandalism’이라고 해서 공공기물 파괴행위가 될 수도 있지요. Graffiti can either be art or vandalism. 과거에 뉴욕 시의 지하철은 낙서로 가득했었지요. 보기에도 좋지 않고, 이용객들한테 혐오감이나 공포감을 주었었는데요, 지금은 많이 개선이 되었지요. New York city used to be the home of graffiti. And there was lots of graffiti all over the city. But an effort’s being made to clean up the city. 미국의 경우 낙서를 지우는데 매년 60억 달러라는 막대한 비용이 소요된다고 합니다. 60억 달러는 한국 돈으로 약 8조원이 넘습니다. 제가 들고 있는 이 사진에는 하얀 색 승합차가 한 대 있는데요. Yes, this car has graffiti all over the side. And I would say that that would probably not be art. It would be more like vandalism. It’s not very beautiful. It’s just words and it’s kind of messy looking. 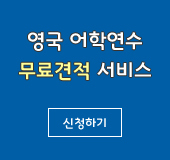 * vandalism: 도시의 공공시설이나 문화, 예술 등을 파괴하는 행위, 야만적인 행위, 파괴 행위를 말합니다. 왜 차에다 낙서를 저렇게 해놓은 건지 모르겠군요. I don’t know. I’m glad it’s not my car. Billions of dollars are spent to clean up graffiti. 어떤 관광지에 가보면 낙서가 되어 있는 곳도 있더군요. 아름다운 자연이나, 유적지나 유물, 공공시설에 낙서를 하는 행위는 파괴행위이지요. It is. Graffiti could be a form of vandalism. And I think that’s more common than the beautiful kind of artwork that you see. LA 인근에서 앰트랙 기차를 타고 가면서 찍은 사진인데요. 여기도 낙서가 심하지요? And there’s this beautiful historic bridge, but it’s got graffiti all painted at the bottom and base of the bridge. I understand that a lot of people get a sense of achievement by being able to create graffiti in places that are hard to reach. The higher, the better. And if it’s difficult to get at, there’s more achievement or sense of achievement from that. Los Angeles is trying a little different approach. They’re trying to plant quick growing vines that take very little water and grow very quickly so that they’ll cover buildings or sides of walls or places where people try to put the graffiti. Yes, it is. And it’s pretty. 웰컴투아메리카, 오늘은 미국의 ‘graffiti’, 즉 낙서에 대한 이야기를 나눠봤습니다. 지금까지 저 박형권, 그리고 리오라 앤더슨과 함께 하셨습니다. 다음 주 이 시간 다시 뵐 때까지 행복한 한 주일 보내시길 바랍니다. 안녕히 계십시오.